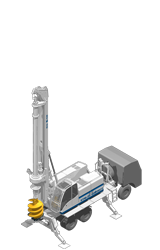 The Soilmec Hydraulic Rotary Drilling Rig range are mounted on a crawler unit (SR Range) or a truck (STM Range) for the execution of Large Diameter Piles. 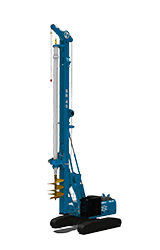 Self-erecting, high performing and easily transportable equipment which reduce costs. 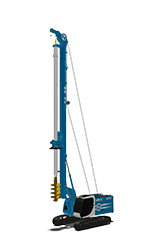 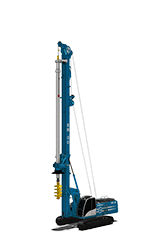 Links to technical details & download brochures can be found below for the extensive Hydraulic Rotary Drilling Rig range. 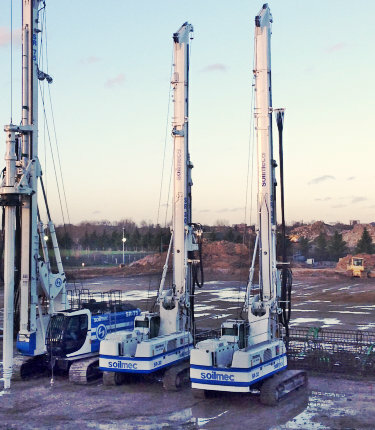 Large Diameter Piles (LDP) performed with a telescopic kelly bar and drilling tool (auger, bucket, core barrel) is the most common technology used globally as it allows for drilling in any type of soil or rock. 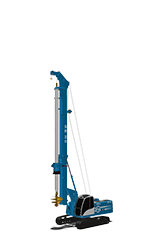 Bored pile is a cast-in-place concrete pile where the piles have to be cast on job site. 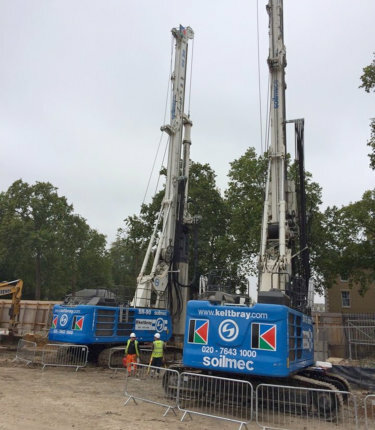 The operating sequence includes the following steps: Boring generally using steel casing or stabilising mud such as bentonite suspension, Drilling and for uncased piles mud de-sanding, and after these, a reinforcement bar will be put into the bore hole and concrete will be poured into the bore hole. 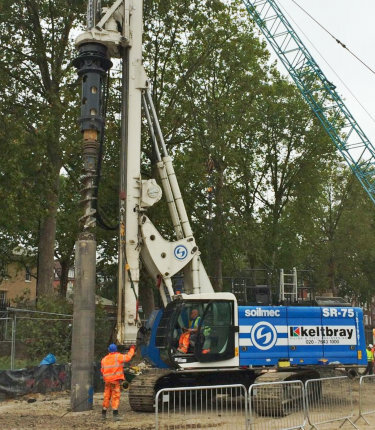 Telescopic kelly bar to perform very deep piles. 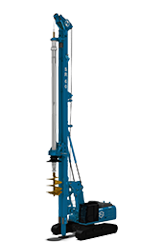 Extensive range of drill tools, casings and other auxiliary equipment suited to any type of soil or rock. 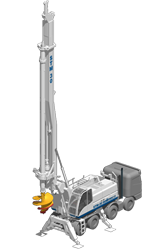 The large diameter bored piles are often applied in the execution of foundations for bridges and viaducts in the water. 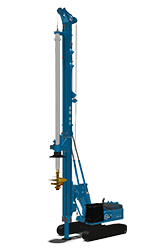 Length and diameter can be varied to suit ground conditions. Large excavations and subsequent backfill are eliminated. 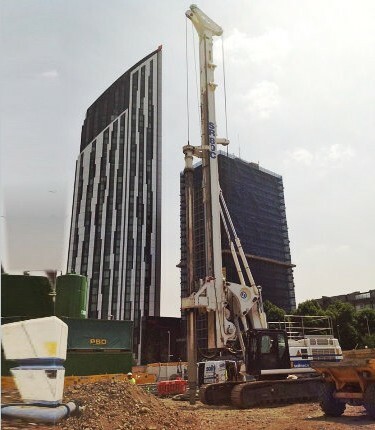 Absence of vibration will not disturb adjacent piles or structures. 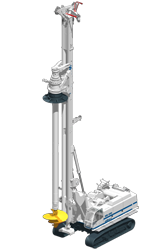 Offer higher capacity with potentially better economics than driven piles. 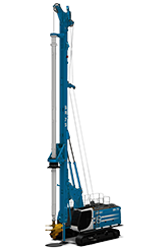 Pile diameter: 600 to 3500 mm depending on soil diameter and consistency. 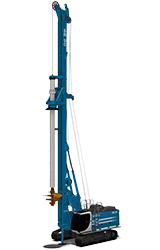 Pile depth: 60 to 100 m depending on soil diameter and consistency.